Smart fax software allows you to send and receive fax easily and seamlessly. It practically turns your computer into a fax machine a potentially big money and time saver. 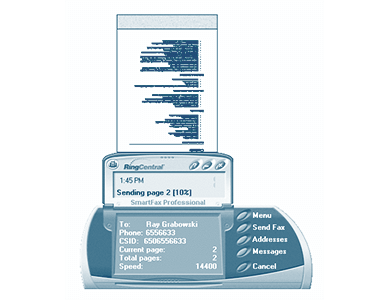 This is an advanced and relatively inexpensive piece of add-on software enabling your computer system to communicate with a fax machine. But, before you can start faxing, your computer needs to be properly equipped. Smart Fax lets you send and receive faxes over the Internet, from any device or system eliminating the troubles such as paper jams, busy signals or waiting by a fax machine. Why to Choose Smart Fax? Smart Fax has made the faxing process simpler and swifter. By removing paper from the process, smart fax has made it convenient for users to send and receive faxes online. Here, you do not have to spent time waiting by a fax machine for a fax to arrive or for sent confirmation. This is a safe and secure method of sending and receiving faxes electronically between authorized users without any downtime or risk of losing any faxes. Smart Fax pharmacy software has made the faxing process simpler and swifter. By removing paper from the process, smart fax has made it convenient for users to send and receive faxes online. Here, you do not have to spend time waiting by a fax machine for a fax to arrive or for sent confirmation. This is a safe and secure method of sending and receiving faxes electronically between authorized users without any downtime or risk of losing any faxes. Customize it as per your needs. No limit to the number of incoming and outgoing faxes. Manage faxes in a much easier way.